It took about 10 years to complete the first-ever full human genome sequence – at a hefty cost of $3bn (£2.2bn). With advances in technology and computing power, the cost of human genome sequencing has fallen to under $500. What's more, a hand-held reader is now available that can sequence genetic material in minutes. The sharp drop in cost has seen the number of completed sequences rise quickly. Based on estimates by DNA sequencing company Illumina, more than 500,000 human genomes have now been sequenced worldwide. And within the next 10 years, "everyone will get sequenced at birth", predicts Dr. Gordon Sanghera, chief executive of Oxford Nanopore, the company that developed the abovementioned portable DNA sequencer. When this happens, individuals will be able to assess whether they have genetic dispositions to particular diseases and take preventative steps accordingly, explains Dr. Sanghera. A single strand of DNA is one ten-thousandth the width of a human hair, but Oxford Nanopore's hand-held reader, called MinION, squeezes each strand through a tiny hole – the nanopore – and reads its electrical signals. These signals are instantly converted into a DNA sequence. 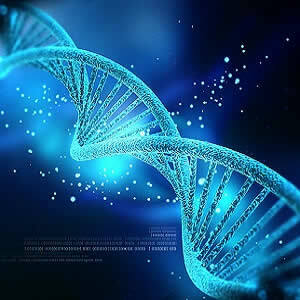 Dr. Sanghera talks about creating "the internet of living things – real time connection of live DNA information" using such portable devices. And the applications won't just be for healthcare, he argues, but for establishing the provenance of food in restaurants, or the presence of dangerous microbes in food factories or water supplies. It could also be used for analysing DNA evidence at crime scenes. "It's like the ultimate barcode," he says. How this genetic data will be combined with other data and analysed is what's causing much excitement not just in the medical world but also in other sectors. For example, UK Biobank has announced its plan to sequence the full genomes of 50,000 volunteers by 2019. A consortium of companies, led by Regeneron Pharmaceuticals, has already vowed to read and analyse volunteers' exome data – a small subset of the entire genome – with each member investing $10m in the project. Moreover, some companies believe genomics linked with other health data analysis could help us lead longer, healthier lives. For example, human genome pioneer Prof. Craig Venter is co-founder and chairman of Human Longevity Inc. (HLI), a firm aiming to give us all "data-driven health intelligence". "We're fighting medical tradition where we wait until people are sick before we treat them," says Prof. Venter. HLI is working with Amra, a world leader in body composition analysis, to combine genomic analysis with metabolic profiling. The aim is to give patients a detailed understanding of their fat and muscle measurements from a simple six-minute scan. For her part, IBM's Laxmi Parida says the relationship between our genes and disease is complex. While the completion of the human genome project held out much hope for the better understanding and treatment of diseases, Parida notes that "we had underestimated the complexity of the relationship of genome to disease and health."